Like many I’ve been thinking about the recent Hurricane Harvey and now the approach of Hurricane Irma into Florida. I loved hearing John Piper’s hopeful Prayer in the Path of Hurricanes and appreciated the way he ended praying through Romans 8:38-39. Nothing can separate you from the love that God has for you in Christ Jesus. No loss, no suffering, no impending hurricane, no recovery effort, no seemingly hopeless situation. Let’s all look to God and see the hope we have in Christ Jesus (and continue to pray for these things happening in our country). Maybe this might serve you as a time to reflect on your relationship between you, God, others, our country, and Jesus Himself. I hope it profits you. 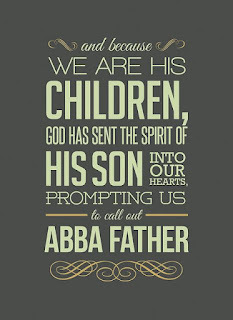 And because you are sons, God has sent the Spirit of his Son into our hearts, crying, “Abba! 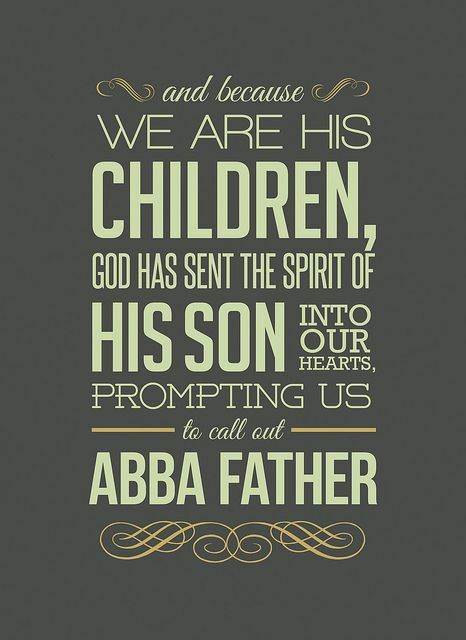 Father!”  So you are no longer a slave, but a son, and if a son, then an heir through God. This coming Sunday at Crestview, we will kick off our Week of Prayer. I plan to preach on persistence in prayer from Luke 18:1-8. We will be distributing a Week of Prayer devotional, giving you many ways to connect together in prayer this week, as well as, tools that will help you pray for our body in the coming year. I hope you plan to join us. It’s going to be an amazing week, begging God to move among us. At 5PM on Sunday 11/1/15, a group met at church to pray for our country and find encouragement in God’s Word. We began watching Russell Moore’s sermon from the 2015 For the Church Conference on Truth and Culture. After watching this sermon, we spent some time in prayer, using the Life Action Ministries resource Prayers That Birth Revival. A team from our church is starting a week long ministry among the Navajo peoples at Immanuel Mission in NE Arizona this week. The part of Arizona their in is called Sweetwater. Our missions vision is fraught with water imagery. We know God is at work in the midst of this. 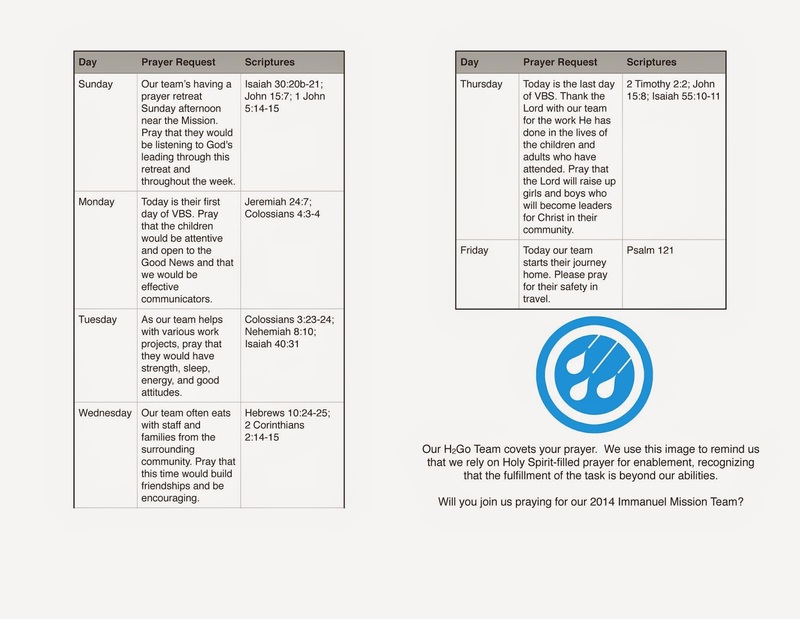 We developed this guide to pray for them and distributed it this morning. Will you join me in taking time to pray for our time. My 1/6/13AM sermon, Praying for God’s Work, from Matthew 9:35-38 is now online. (This sermon kicked off our church’s Week of Prayer. Devotional available here.) The sermon sought to unpack how prayer is really an important part of God’s work, using the life and ministry of Jesus as example #1. We don’t treat or think of prayer as an important part of God’s work, but Jesus draws the connection close. Hopefully my sermon pointed you to this truth. Hope you had a good Lord’s Day yourself. Now, off to another week living for God’s glory. My 11/11/12AM sermon, Prayer Encouraged from Hebrews 13:18-19 is online. In this sermon, I sought to, once again, ground everyone in the Gospel (has to be the case reading the book of Hebrews) and help them see how that encourages pray. Specifically, my outline involved 3 directions for prayer: we pray for people, Gospel-centered living and circumstances. I hope the sermon helped people to see the access they have to their Father and to pray more diligently. And, I hope you had a blessed Lord’s Day. This coming Lord’s Day, we plan on looking on Hebrews 13:18-19 and it’s call for people to pray. There are some specific ways this author contributes to our thinking on prayer that will, undoubtedly, be a great encouragement to us. We all know the importance of prayer. This, coupled with the amazing truths we’ve seen time and time again in the book of Hebrews about how we’re made acceptable in God’s sight, what our great High Priest has done to give us confidence to enter, and how Christ Himself is interceding make this a very exciting text to pursue this weekend. I hope you’ll come and be encouraged to be a person of prayer.